JAMMU, Feb 26: Union Minister of State in PMO with independent charge of North Eastern State, Dr Jitendra Singh today expressed hope that the new road projects which were launched by him and Minister of Works Naeem Akhtar along with MoS, for Works, Sunil Sharma at a function at Gandhi Nagar Rest House today will be completed in time frame and all problems in this connection will be removed. Dr Jitendra Singh while addressing the officers meeting during the launch of the 15 road projects under PMGSY scheme here for his Kathua-Doda Parliamentary constituency, said the purpose of launching all the works in a one go was that by inaugurating them separately the works get delayed. He expressed the hope that this trend will be followed for the speedy development of the State. 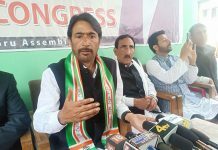 He said this time Rs 2800 crore were earmarked for roads under PMGSY and out of it Rs 1400 crore were kept for the road works in Kathua-Doda constituency alone. This does not mean that other areas of the State were discriminated but Doda -Kathua Constituency not only having difficult topography but also being heterogeneous topography has been posing many challenges. “We are determined to develop this constituency to go ahead with launching of many welfare and developmental projects”, he added. He said for the construction of these roads, Rs 1415 crore were kept. Highlighting the welfare projects launched by Narendra Modi led Government in the country, he said “this is the best period for a MP to carry forward Central schemes and there is no problem of funds from Central Government in this regard as Narendra Modi who has been Party incharge of the State earlier has always been liberal towards J&K and this can be gauged from the fact that when I took the proposal for enhancing the cash assistance for the Jammu migrants at par with Kashmiri migrants, he did not took even a second in giving his approval to the proposal. This is because Prime Minister is well versed with the problems of the people of the State and he knows every inch of J&K”. 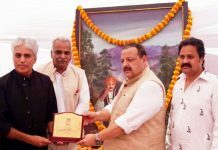 Dr Jitendra Singh announced that present Union Government wants to take J&K at par with other states of the country in development. The Chenani -Nasri tunnel constructed on Jammu-Srinagar National Highway is state of art tunnel and after its commissioning the tourists will come to see it as it will be a monumental structure. While highlighting the developmental projects launched in the State, Dr Jitendra Singh said the Delhi-Amritsar, Katra Express Way Corridor has been given approval by Union Government and it will reduce the journey from Delhi to Katra to six hours. The Atal Sethu constructed on river Ravi in Basohli is its type of first bridge in entire North India, he added. He said the another major developmental project for the State is construction of Rs 3500 crore Chhaterkala Tunnel in Bhdarwah. Though it will take 15 to 20 years in construction but a beginning has been made, he added. 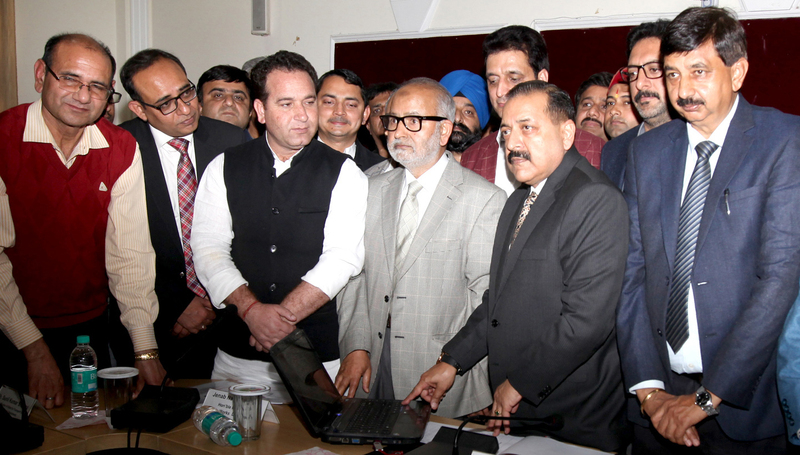 Dr Jitendra Singh while urging the officers to ensure the speedy and time bound execution of works, said mostly time is being wasted in inter-departmental clearances. 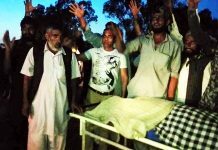 He, however, lauded the officers over the progress in work on inter-State Keriyan Gandayl bridge in Kathua. 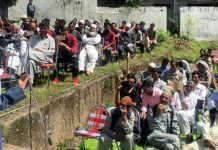 He said the land for Udhampur Radio Station is being negotiated and Rs nine crore were sanctioned for the same by Union Government. Under PMGSY scheme 36 roads for Doda, 25 for Kishtwar, 13 for Ramban, 71 for Kathua, 48 for Udhampur and 27 for Reasi were launched today. 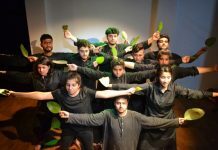 Speaking on the occasion Minister of Works, Naeem Akhtar said that the officers should show results and the work on projects launched today be started as soon as possible and they be completed in a stipulated time. He said that yesterday in a review meeting some good decisions were taken that how the projects will be completed in a time frame and wherever there is procedure delay the officers were authorized to take decisions on their own level. He said Executive Engineer is now authorized to take decision up to Rs one crore tender and SE upto Rs five crore at his own level. In next one and two months the Government has decided to appoint consultants to frame connectivity plan that what we can do up to 2020 and 2025. He asked the officers to give him a feed back of the schemes started today within a week that whether works were started or not. 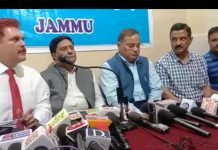 The Minister said there is nowhere such problem of road connectivity as is in Kathua-Doda Parliamentary Constituency. With construction of new Highway via the Constituency, he said in 2019 elections we can show people that how the Constituency has been developed, he added. 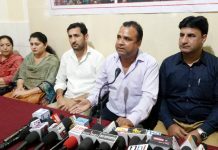 MLA Gool Arnas, Aijaz Khan said that Kathua-Doda Constituency has most problem of road connectivity and the Government has no funds for road connectivity and forest clearance. “This is the main issue besides roads under PMGSY remain closed during rains. Moreover there is no hot mixing plant in Ramban district”, he added. 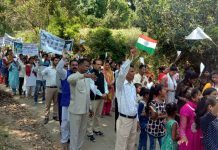 MLA Udhampur Pawan Gupta said there is problem of road connectivity in the entire Parliamentary constituency. 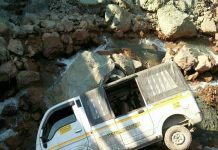 There is problem of land erosion due to cutting of slopes. He stressed on improving quality of works. R S Pathania, MLA Ramnagar said for the handed over schemes, a fool proof mechanism needs to be adopted that how they have to be maintained. “Though right to property is a fundamental right in our country but the people whose land is acquired for construction of roads and other schemes have to run from pillar to post for compensation”. He demanded release of compensation should be time bound. 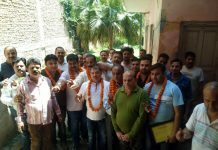 MLAs Ramban, Neelam Langeh, MLA Bhadarwah, Dilip Parihar, MLA Doda Shakti Parihar and Mumtaz Khan MLA Gulabgarh were also present besides the officers of works Department.